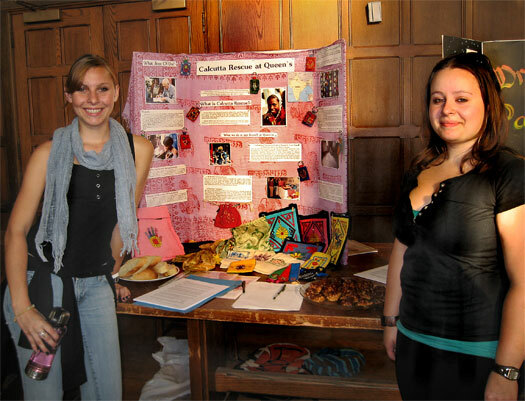 Misha and Brittany (on photo) and Arielle spread awareness for Calcutta Rescue at Clubs' Nights on the campus of Queen's University. Many volunteers were recruited for our fall-winter fundraising. Bravo Misha, Brittany, Arielle and all the others who worked hard spreading the word about Dr. Jack's work. Misha, Chantal, Christina and Brittany. Welcome to the group, Chantal and Brittany.